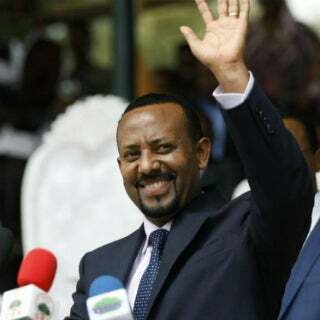 On July 30, 2018, the Prime Minister of Ethiopia, H.E. Dr. Abiy Ahmed and his delegation will visit the Ethiopian communities in Minnesota. The aims are to create awareness of new development in Ethiopia and encourage the Ethiopians in diaspora to play supportive role in the ongoing peace and democratization process. This event will be open to all Ethiopians and friends without any registration or entrance fee. The Prime Minister has achieved momentous accomplishments including freed political prisoners and journalist, lifted the State of Emergency, opened up political spaces and invited exiled politicians back to the country. He also brokered peace with the neighboring country, Eritrea, which will lead to immense opportunities for peace and security in the Horn of Africa. The reformist aspiration by the current administration has given Africa's second most populous country of 105 million people tremendous hope for lasting peace and prosperity. This incredible achievement made in the last three months under the new prime minister is acknowledged by the people of Ethiopia and the international community. After more than two decades of totalitarian rule, Ethiopia is embarking on a journey to democratization. The Ethiopians in diaspora acknowledge the efforts of the Prime Minister H.E Dr. Ahmed who has been working tirelessly to create a national consensus and strengthening unity among the people of the country for the last three months. The government of Ethiopia desires for Ethiopians in diaspora to play a crucial role in supporting ongoing economic development and democratization process through active engagement in investment, trade, tourism, technology and knowledge exchange. The Ethiopians in diaspora shall also serve the interest of their country of origin by winning friends, economically and politically, in the countries of their residence. In addition, the Prime Minster is committed to encourage the Ethiopians in diaspora to play important role in supporting the ongoing peace and democratization process. Minnesota’s Governor Mark Dayton, Minneapolis’s Mayor Jacob Frey and St. Paul’s Mayor Melvin Carter will greet the Prime Minister and his delegation upon their arrival at the Minneapolis-St. Paul Airport on Monday morning, July 30, 2018. The Prime Minister and his delegation will be available for interviews at the Target Center starting 1:00 pm. The organizing committee would like to invite all Ethiopians in diasporas living in and around the State of Minnesota to attend this historic event and show their support for the ongoing positive development and progress. Sponsored by the Coalition of Ethiopians in Minnesota, which comprises of civic organizations and communities. Show Date/Time: Monday, July 30 at 1pm. Doors open at 12pm. Ticket Info: This event is free and open to the public. No ticket is needed. General admission seating.